The Anaheim City Council is set to appoint Arturo N. Fierro, the father of Councilman Jordan Brandman’s campaign manager and policy aide, as city attorney. If approved, Fierro will serve as interim city attorney for six months. Voice of OC heads into court this week on a public records case spurred by Supervisor Todd Spitzer’s arrest of a man at a Wahoo’s restaurant last year. Meanwhile, there are more shake-ups inside Spitzer’s county office. While Proposition 62, which would outlaw the death penalty in California, has received the most attention this election year, District Attorney Tony Rackauckas and local billionaire Henry Nicholas are championing a competing measure aimed at speeding up executions. An independent report shows seawater desalination is by far the most expensive water supply. 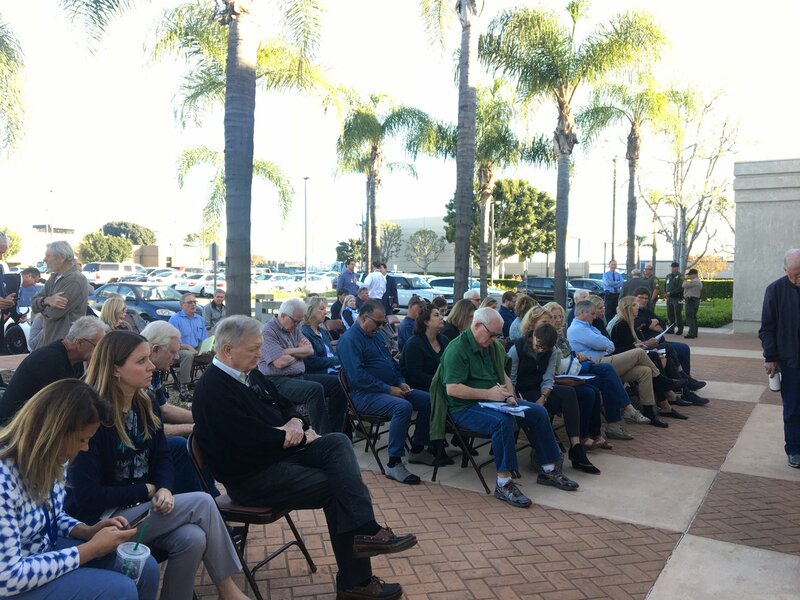 Local residents want to understand the true cost of the proposed Huntington Beach desalination project, especially if they are being asked to pay for it, plus the pros and the cons. Gonzalez and Lopez: 80% of OC Latino Voters Want HB Desalination Approved Now! The results of the William C. Velasquez Institute internet poll of 404 OC registered Latino voters during a two-week period reveal attitudes on water. Invitations to participate in the survey was sent via email. The profile, which notes that all the firm partners were previously with large law firms, goes on to quote Zipser: “We now have a nimble, small firm platform . ANAHEIM, Calif. – The California Women’s Leadership Association (CWLA) held their Women to Watch in 2017 luncheon yesterday at the Disneyland Hotel to award business women, community leaders and elected officials for their hard work and dedication to the communities they serve. The CWLA is a 501(c)(4) statewide organization that is devoted to uniting influential women leaders in order to bring about meaningful change in their surrounding communities and government through education and advocacy. Does the public have a right to know exactly who is contributing to campaigns as well as an expectation that campaign finance laws will be enforced? Newport Beach City Councilman Keith Curry argues there is a key breakdown of enforcement in his city.